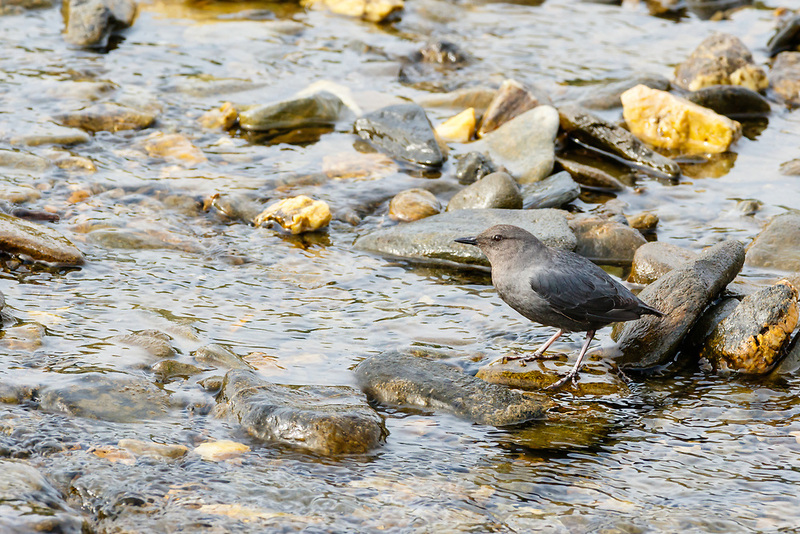 American Dipper (Cinclus mexicanus) on rock along stream in Kigluaik Mountains near Nome on the Seward Peninsula in Northwest Alaska. Spring. Morning.